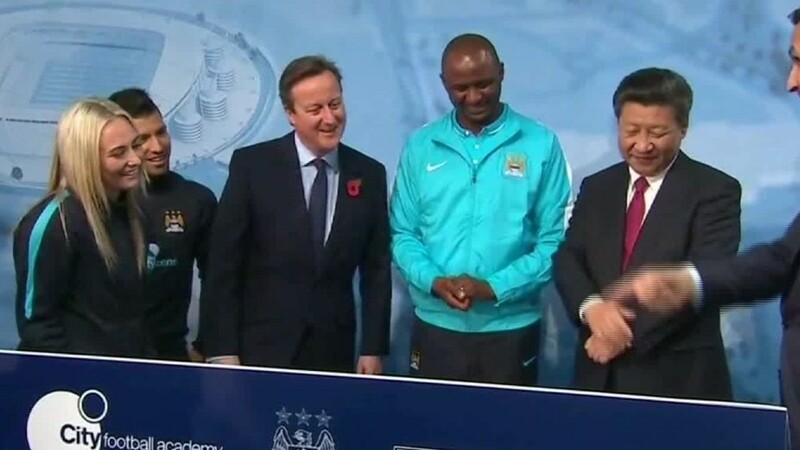 A Chinese businessman is buying up a storied English soccer team that's fallen on hard times. Tony Jiantong Xia's Recon Group is taking control of Aston Villa, a 140-year-old club, from American tycoon Randy Lerner, the former owner of the NFL's Cleveland Browns. It's the latest high-profile move by a Chinese investor to put money into European soccer. Recent investments have included elite clubs like Spain's Atletico Madrid and the U.K.'s Manchester City. But Xia is buying into a very different proposition with Birmingham-based Aston Villa. The team has a rich history of winning top trophies in the past, but it was recently relegated from England's lucrative Premier League after a disastrous season. The drop into the second-tier division is expected to cost the club tens or even hundreds of millions of dollars in revenue, as it will miss out on a massive increase in the Premier League's domestic TV deal. A fan of Aston Villa for "many years," Xia has grand plans for returning it to its glory days, according to a statement on the club's website announcing the deal. He's aiming to steer the team back into the Premier League and then to finish among the top six teams. "He plans to make Aston Villa the most famous football club in China with a huge fan base," the statement said. It didn't say how much Xia was spending to buy the team or how much he plans to invest to turn it around. The deal requires approval from soccer authorities in the U.K.
Xia's private holding company owns businesses involved in range of industries, including technology, energy, financial services, sports and tourism, according to a profile posted on the club's website. His investment comes amid a push spearheaded by President Xi Jinping to boost China's standing on the global soccer stage. The country has plans to build thousands of soccer schools, and its leading clubs have been splashing out huge sums in the transfer market. Two of China's richest men -- Alibaba founder Jack Ma and real estate mogul Wang Jianlin -- have both pumped money into clubs. Alibaba bought a 50% stake in top Chinese team Guangzhou Evergrande in 2014, and Wang's Dalian Wanda Group took a 20% stake in Spain's Atletico Madrid last year.